Ray served in 13 Para in WW2 and was thought to be amongst the first to land in Normandy on D Day. 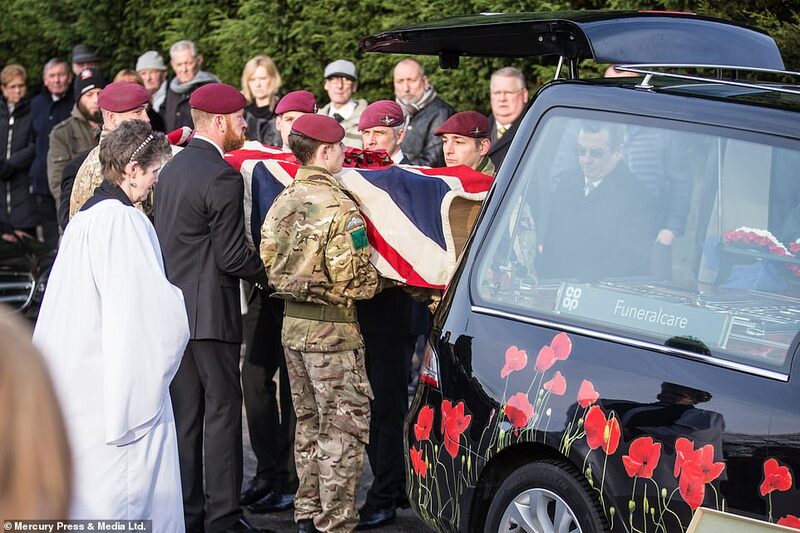 A short film of him went 'viral' when he attempted to stand on Remembrance Sunday, to pay his respects for his fallen mates, he could not get up out of his wheelchair and was helped by two younger ex Paras. Ray later met Prince Harry and Megan. Ray's Bn were tasked with taking a bridge in Normandy before the Krauts could blow it. They succeeded. A few days later ray was shot in the head by a German sniper which put an end to his active service. The funeral will be at 10am at st John's church in Farnworth (near Bolton). 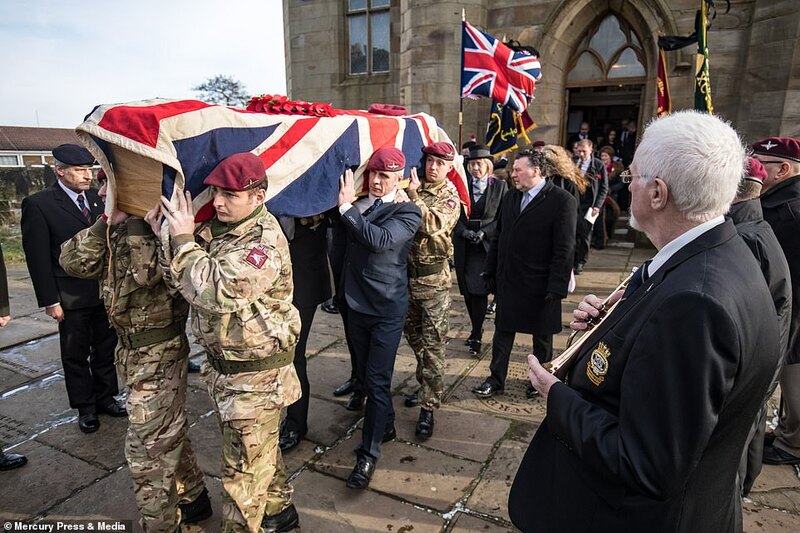 family have asked any former paras to form a 'guard of honour' at entrance to church. refreshments provided in local club after. sorry do not have postcode for church. A diminishing Band of Brothers. RIP Ray. Take your seat at Valhalla's top table Ray! R.I.P. Ray,another of the old and bold gone. Ray.jpgPhoto of Ray and the 2 lads who supported him at Remembrance Sunday (Kieran McGurk on the left and John Price on the right). A bundle of energy in his mid 90's apparently, and knew how to put his beret on the reet way (as did Kieran and John)). Photo taken from local paper. I think I have sussed out the reason for the way some people wear their beret these days. From above the left eye to the left ear is aprox 88degrees so for every year served you turn the beret 4degrees left so at the end of 22years the badge is over your left ear. The "Pancake" Looks 'orrible. Stupid...Comical. Do other Reg do it ? Good photo. See the Reg is there. Very good.